With six top-six finishes in six stroke play events, including a win at the Players Championship, McIlroy arrived at the year's first major looking primed to finally complete his career grand slam. Sitting four back of the clubhouse leaders, a Green Jacket and the elusive slam are certainly not out of reach but the 29-year-old will have to fire up his game if he is to get back on track. "I mean I felt the course was there. It's soft. 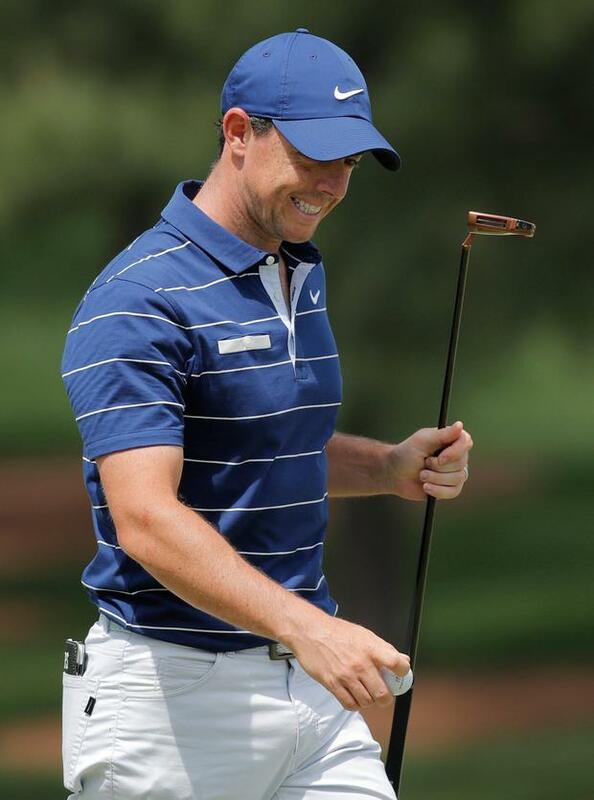 There's not much wind," said McIlroy. "I made five birdies, that wasn't the problem. "I just made too many mistakes. "That was the problem and I'm making mistakes from pretty simple positions, just off the side of the green, 17 and 18 being prime examples of that." McIlroy got his round off to a stumbling start with a bogey at the first but quickly got that stroke back with a birdie at the third. Yet that was only the beginning of what would be a rollercoaster afternoon, swapping another bogey-birdie before making the turn where the ride got even wilder. A harrowing back nine began with back-to-back bogeys and ended in the same deflating fashion with the world number three dropping shots at 17 and 18, taking the glow off a sparkling stretch when he picked up three birdies over four holes from the 13th. With five consecutive top-10 finishes at the Masters, McIlroy has some fine performances at Augusta National to look back on. Yet it has also been the scene of one of his biggest failures, a final-round collapse in 2011 when he failed to close out the win despite entering the day with a four-shot lead. "I think I've sort of been through it all here at this golf course," said McIlroy, who is trying to become just the sixth golfer to complete the career slam. "So ... it's fine. "You know you're going to have chances. "There's birdie opportunities. I can accept mistakes if I'm trying and it's not a mental error or I haven't got into places, so I can accept some mistakes. "But six bogeys out there is a little too many and I'm just going to need to tidy that up over the next few days."